When you enter this area, where the space is punctuated by white pillars evoking the atmosphere of Tuscany, you are at once carried away by a feeling that you stepped into a modern castle – this is Symbol Garden. 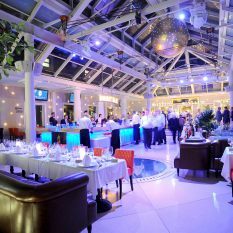 The specialty of the place is the convertible glass roof thanks to which Symbol Garden is the biggest garden facility of Budapest which operates all year long and where stars are shining above in summer as well as in winter. Where sunrays reflect in geometric forms on the walls, with the square shadows running down towards the floor like veins, lending a gorgeous look to the area. You have not seen anything like this, it is worth checking out! Underground of Symbol Budapest lays one of the city’s most outstanding party places: every Saturday night, party goers put on their dancing shoes in Live Music Club. 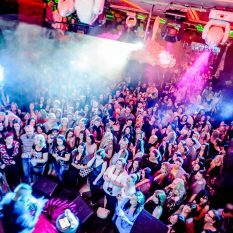 It is not a coincidence that it has become one of Budapest’s most popular party locations: its top-quality sound technology as well as its unique interior design makes everyone dance like John Travolta. Now, the location is also available for private events! 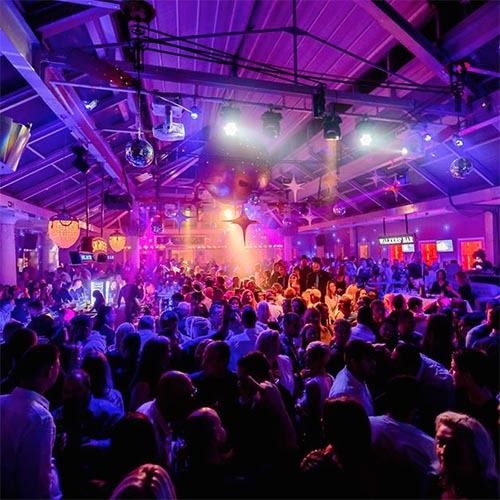 Two floors, remarkable sound technology, perfect sonority at all locations in the building – these are the most important qualities of a good party and concert location. Of course, it can not be used only for parties, but for other purposes too. Imagine that your shoes are clicking on steps where people were already standing two hundred years ago. Imagine the sweet smell of dried red paprika, a Hungarian specialty, floating in the air. Imagine a feast with the unmistakable flavour of Hungarian dishes. Imagine the savour of exceptional drinks put on the table during wine and palinka tasting. Imagine you are not simply having dinner but participating in culinary time travelling. Imagine 220 year-old Cellar Restaurant’s remarkable atmosphere! Well, it’s best if you not only imagine but see it for yourself!